Dr. Easttom is available as a speaker on various Computer Science and Computer Security related topics. He is a Distinguished Speaker of the ACM. May 23-24, 2019. ACM Colloquium on Information Assurance, Cybersecurity, and Management CIACAM in Minneapolis. Delivering my Distinguished Speaker of the ACM talk on "Quantum Computing and Lattice Based Cryptography". April 4, 2019 Cyberintelligence Summit - Identifying Emerging Threats & Defenses. Fayetteville Arkansas. Speaking on "What Computer Science and Digital Forensics Can and Cannot Do for You in any Case". This is at the University of Arkansas School of Law, Fayetteville, Arkansas. April 5, 2019 Cyberintelligence Summit - Identifying Emerging Threats & Defenses. Fayetteville Arkansas. Speaking on "What Computer Science and Digital Forensics Can and Cannot Do for You in any Case". This is at the Arkansas Bar Center, Little Rock, Arkansas. March 14-15, 2019. Future of Information and Communication Conference (FICC) 2019 in San Francisco. Distinguished Speaker of the ACM talk: "Quantum Computing and Lattice Based Cryptography". March 7-8, 2019 The International Conference on Data Sciences, Security and Applications(ICDSSA, 2019) Delivering two presentations: "Overview of Cryptographic Backdoors" and "S-Box Design in symmetric cryptographic primitives" as part of the Distinguished Speakers of the ACM program. February 11, 2019. Dr. Easttom has been invited to speak at Seton Hall University on the application of graph theory to digital forensics and network investigations. January 22, 2019. Dr. Easttom presented a talk on Cyber security Engineering at Texas A&M El Paso. January 7-9, 2019. IEEE 9th Annual Computing and Communication Conference. On 9 January at 10:30 Keynote speaker presenting a talk on "The impact of complexity and emergent properties on engineering". 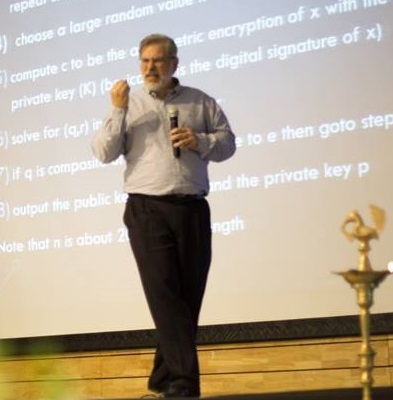 During the conference he presented his papers "A Modified McCumber Cube as a Basis for a Taxonomy of Cyber Attacks" and "An Analysis of Leading Lattice-Based Asymmetric Cryptographic Primitives". He chaired a session on "IOT, Robotics and Machine Vision" as well as a session on "Mobile and Wireless Communication, Network". October 23-24 2018 IEEE International Symposium on Technologies for Homeland Security. Presenting his paper "A Systems Approach To Indicators Of Compromise Utilizing Graph Theory"
October 10th 3pm 2018. SecureWorld Dallas 2018. Presentation on "Quantum Computing and Cryptography"
September 19, 2018 "How to Conduct Dark Web Investigations" from 1:30 PM to 2:30 PM at the 2018 Techno Security & Digital Forensics Conference in San Antonio, TX. May 17, 2018. SecureWorld Houston 2018. Presentation on "Quantum Computing and Cryptography"
6 May 2018 Princess Sumaya University for Technology in Amman Jordan hosted the Distinguished Speaker of the ACM Talk "Applying Graph Theory to Digital Forensics"
April 11, 2018 University of Texas at Dallas ACM chapter is hosted the Distinguished Speaker of the ACM Talk "Quantum Computing and Lattice Based Cryptography"
March 23, 2018 2pm presenting on "Penetration testing as a profession rather than a dark art" at the DFW Murphy TX ISC2 Chapter meeting. March 8 to 9 2018 presented the paper "The role of weaponized malware in cyber conflict and espionage" at the ICCWS conference(13th International Conference on Cyber Warfare and Security). He also presented a research poster entitled "A Modified McCumber Cube as a Basis for a Taxonomy of Attacks"
January 8 to 10th 2018 Annual IEEE Computing and Communication Workshop at the University of Nevada in Las Vegas, a presentation on his paper "A Generalized Methodology for Designing Non-Linear Elements in Symmetric Cryptographic Primitives." Also chaired a session on Artificial Intelligence, and another session on Computer Architecture and VLSI. October 18-19 SecureWorld Dallas 2017. Presentation on "Cryptography, what you don't know and how it can hurt you"
September 27 and 28, 2017. Secure Jordan conference in Amman. He presented two talks. The first is "An overview of current challenges in phone forensics". The second is "How to address dark web markets". Monday, September 25, 2017: 11am ISC2 Security Congress in Austin Texas. Presentation on "Applying Graph Theory to Analyzing Digital Evidence"
July 28, 2017 2pm to 6pm He conducted a workshop at Defcon 25 in Las Vegas "Windows: The undiscovered country". The topic will be undocumented API's, stored procedures, and how to use them to hack Windows/SQL Server. May 24, 2017. Enfuse 2017 conference in Las Vegas. Presentation on "Applying Graph Theory to Analyzing Digital Evidence"
March 3, 2017. University of North Texas- Frisco Campus Room 161. Presented a 2 hour workshop on Applying Graph Theory to Analyzing Digital Evidence. February 17, 2017. American Academy of Forensic Sciences 69th Annual Meeting. Presentation on JTAG phone forensics. January 17 to 19 2017 IAFLS Conference in Cairo Egypt. 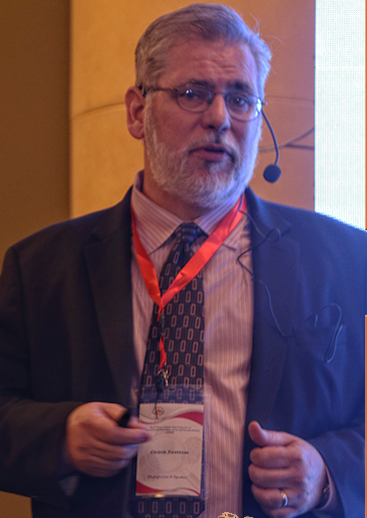 Two talks: "Improving Digital Forensics"; "Applications of Graph Theory to Forensic Analysis"
October 18-19 Jordan Cyber Security & Forensics Forum (JCSFF-2016). Two talks on the topic of "Zero Day Forensics" and "Zero Day Exploits"
September 28 2016 Secure World Dallas. Speaking on "Analyzing Forensic Evidence". Applications of graph theory to forensic analysis. September 13, 2016 Tarleton State University CyberSecurity Summit at the George W. Bush Institute. The topic is "A template for incident response"
May 24, 2016 Keynote speaker at ADFSL conference. Topic "How to improve digital forensics"
November 5, 2015 speaking at the SWACHA Executive Payments Summit on "Changing IT Security Issues". November 4, 2015 speaking at SMG fraud summit in Dallas regarding "Cyber Fraud"
October 4 Hakon 2015 in Indore India. Speaking on "Cyber Warfare and Terrorism". 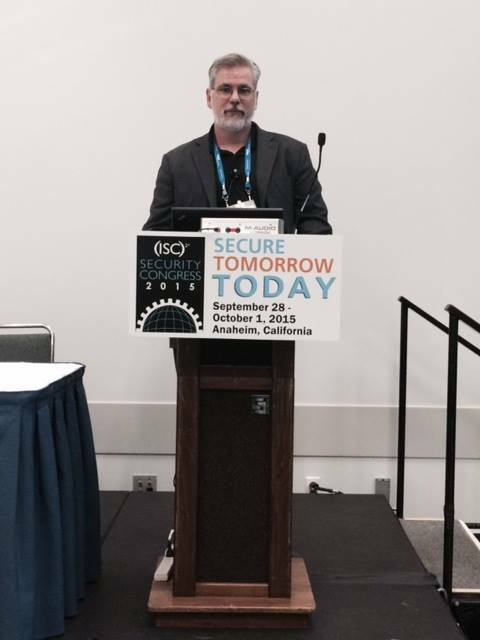 September 30, 2015 ISC2 Security Congress in Anaheim California. Session 4334 3:30 PM "Cryptanalysis for Forensics"
August 20, 2015. Speaking on the "7 Common Mistakes of Incident Response" at the Southwest Financial Crimes Forum in Dallas Texas. November 7, 2014 North Texas Crime Commission-Healthcare Cyber Security Symposium presenting a talk on health care breaches. March 2014 University of Texas at Dallas. Presented two talks: "Steganography" and "Cryptographic Backdoors" at the UTD chapter of the Association of Computing Machinery (ACM). July 15 2013 Takedowncon security conference in Huntsville Alabama. Speaking on "Cryptanalysis". May 2012 Takedown security conference in Dallas Texas. The topic was "RSA cryptography"
September 2010 Southern Methodist University Computer Science and Engineering Colloquium. The topic was "Organized Computer Crime and Computer Terrorism." December 2009 Devry/Keller University in Dallas Commencement Speaker. November 15th 2005 The ACM Chapter of Columbia University. The topic was computer viruses. April 5th 2004 The Harvard Computer Society. The topic was computer security. September 19, 2003 Mid-Cities PC Users Group. The topic was computer security in general. Dr. Easttom is usually available for a minimal honorarium and travel expenses. He also does free speaking engagements from time to time, if his schedule permits. You can email to inquire about having him speak to your organization.